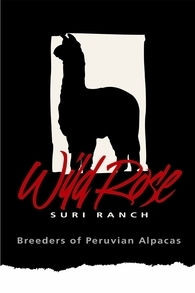 "Breeders of Exceptional Peruvian Suri Alpacas"
Crazy, wild colors on this appy! Reserve Champion - Grey Suri Females! 2 Champion Parents & a Fleece Champion! Daughter of Judge's Choice Champion! Proven Colored Accoyo Foundation Dam! Amazing fleece - spinner's dream! MAPACA Jubilee Judge's Choice Award!